The United Nations has called on the Iraqi government to investigate genocide, crimes against humanity and war crimes in Mosul. 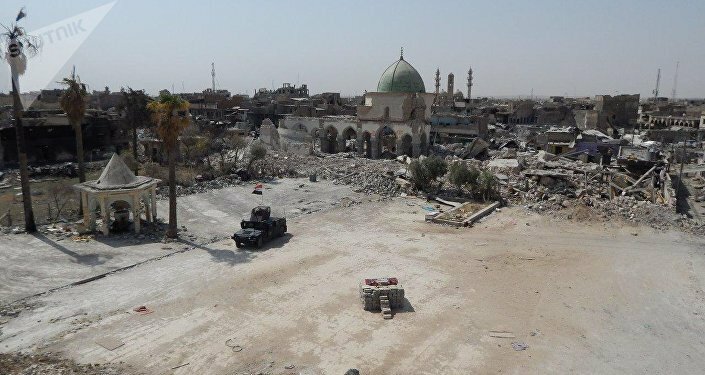 MOSCOW (Sputnik) – The United Nations has concluded that Daesh has perpetrated serious violations that amount to “international crimes” during Iraq’s campaign to liberate the city of Mosul, the UN Human Rights office said on Thursday. “A UN report concludes that the so-called Islamic State of Iraq and the Levant (ISIL/Daesh) perpetrated serious and systematic violations that amount to ‘international crimes’ during the nine-month military campaign to liberate Mosul City in Iraq,” its statement reads. 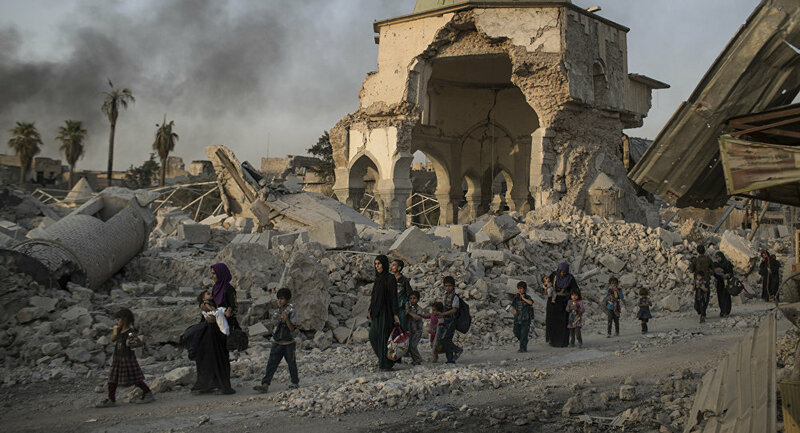 "During the course of the operation to retake Mosul City thousands of civilians were subjected to shocking human rights abuses and clear violations of international humanitarian law. The execution-style killing of civilians, the suffering inflicted on families, and the wanton destruction of property can never be tolerated in any armed conflict, and those responsible must answer for their heinous crimes," UN High Commissioner for Human Rights Zeid Ra'ad Al Hussein said as quoted in the report. According to UN figures, at least 2,521 civilians were killed during the military operation to retake Mosul, "mostly as a result of ISIL [Daesh] attacks." Mosul, the second largest Iraqi city, was completely liberated from Daesh terrorists in July. Iraqi forces and US-led coalition forces launched the operation to free the western part of the city in January after recapturing its eastern portion. Daesh terrorist group took over Mosul in June 2014, turning it into one of its major strongholds in the Middle East. UNICEF has assessed that up to 650,000 children in Mosul have been affected by the war. The UN estimated that some 700,000 Mosul residents have been displaced since the beginning of the conflict.